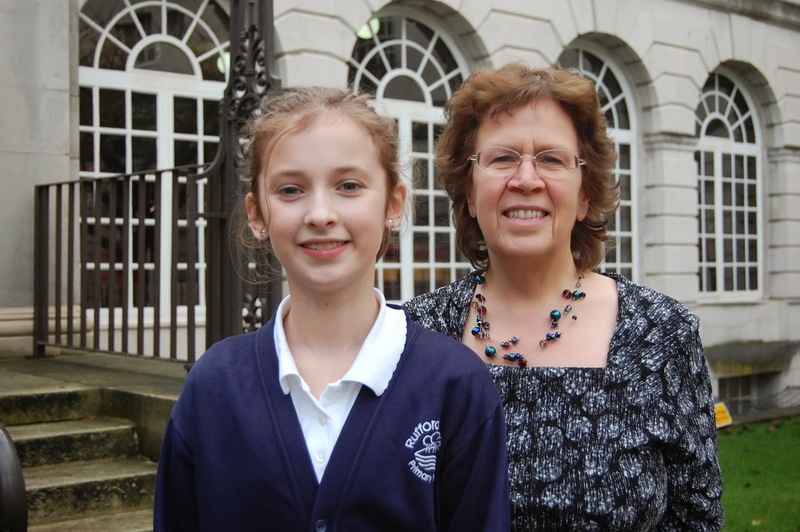 Picture caption: "Leeds Children's Mayor Charlotte Williams with Councillor Judith Blake." The winner of the Leeds children’s mayor competition presented her manifesto ‘Life Cycle of Leeds’ to the city’s key decision makers at this week’s meeting of the full council. Charlotte Williams, 10, from Rufford Park Primary School in Yeadon won the competition after people across Leeds voted hers as their favourite of the 10 manifestos in the final. Charlotte attended Wednesday’s full council meeting with three of her school friends and explained her idea to promote cycling to young people across the city, to all 99 councillors. Each of the manifestos submitted to the competition, which was held throughout October last year, had to be based on one of the 12 wishes for Leeds becoming a Child Friendly City. Charlotte’s manifesto linked to the wish “Children and young people can make safe journeys around the city”. Called, ‘Life Cycle of Leeds’ Charlotte’s manifesto aims to promote cycling to children in Leeds, and was inspired by Paralympian cyclist Dame Sarah Storey. As well as promoting cycling by improving cycle access to places like schools, leisure centres and the city centre, Charlotte also proposes to provide safe areas to lock-up bikes and ‘borrow-a-bike’ schemes. In her manifesto Charlotte also considered how she could raise money for the project. Already Charlotte has joined the Lord Mayor of Leeds on stage in front of thousands to switch the Leeds Christmas lights on and has helped with the judging for the first ever Child Friendly Leeds Awards. Leeds Children’s Mayor, Charlotte Williams said:“It was a little bit scary to read my manifesto in front of so many people, but it was great too! “The children’s mayor competition is a great way for local government to interact and engage with kids, teaching them the importance of local government and what it is we do. Councillor Judith Blake, executive member responsible for children’s services said: “Charlotte did a fantastic job presenting her manifesto to all of the councillors – it must have been very daunting! The Leeds children’s mayor competition is an extension of the previous ‘Mayor For a Day’ contest and allows the winner to participate in activities throughout their year in tenure as children’s mayor.